As per the source, senior ministers, in off-record conversations, have indicated that Akbar will have to step down once he returns to India. 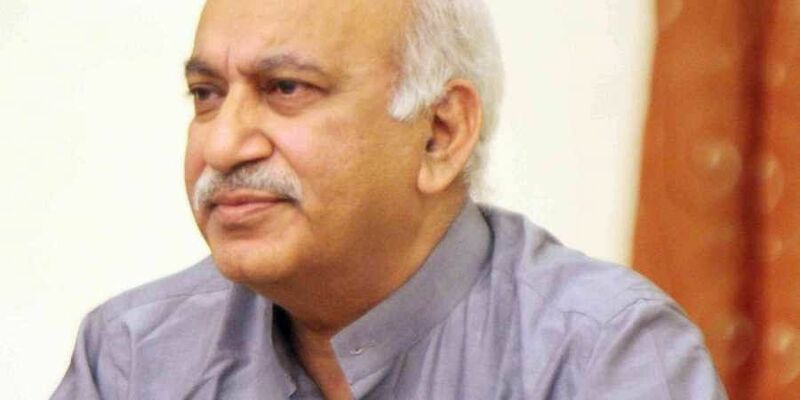 NEW DELHI: Minister of State (MoS) for External Affairs MJ Akbar's continuation as the junior foreign minister seems untenable, a source told ANI on Friday. The source further said that Akbar, who is facing allegations of sexual misconduct, will not cut short his foreign tours, adding that the minister, who has now flown down to Equatorial Guinea from Nigeria, is expected to return India on Sunday. As per the source, senior ministers, in off-record conversations, have indicated that Akbar will have to step down once he returns to India. However, a consensus has reportedly not been achieved among the Bharatiya Janata Party (BJP) members on whether an MoS can be ousted merely on the basis of allegations, as Akbar's removal without any probe or police complaint may open the floodgates. On October 9, External Affairs Minister Sushma Swaraj had dodged questions posed by media pertaining to sexual harassment allegations against her deputy. Akbar has come under the scanner after several of his former women colleagues accused him of sexual misconduct when he held senior editorial positions in a number of media organisations. The slew of allegations where sparked by the #MeToo movement, which has gained momentum in the country after scores of women, from various fields of work, shared their harassment ordeals on social media platforms.